It takes two to Tango is very old idiom, So is the TangoSMS which has the participation of at least two entities when you send a SMS which are the sender and receiver. 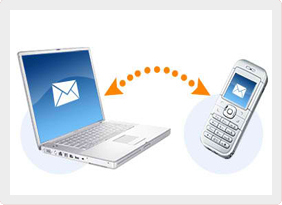 Sender here is the our bulk sms client which sends SMS using our application or our api and the receiver is the mobile user. At TangoSMS we have always been providing the Bulk SMS service which is very reliable, fast and full of Life as they reach before your phone call can reach so many people. Also the Sender ID which we provide is very relevant to business and is booked by us for you so that each time you send your customers/clients/users then they have the same sender id and can recognize that it is your message. The easy UI for sending SMS using our application can be mastered in 5-10 minutes and then you make all the Bulk SMSing to make your Business a Great Success ! Our team is there to help and support you.